These guidelines have focused on work with traditional tales-folktales, fairy tales and myth. Slightly different issues may pertain where the emphasis is on personal narrative. My hope is that, as a knowledge base develops, more tellers will feel inspired to seek out challenging new opportunities and then that they will share their experiences with the broader community. 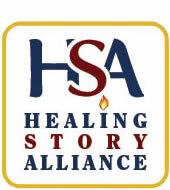 The guidelines were originally developed in consultation with other members of the Healing Story Alliance: Gail Rosen, Allison Cox, Colin McNaughton, Diane Rooks, Laura Simms, and Diane Wyzga. Thanks, too, for additional input from Karl Hallsten, Peggy Kenny, Staci Marinelli, Erica Meade, Mary Medlicott, Elisa Permain, and Fran Stallings. Mounting evidence suggests that stories and the storytelling process can promote recovery, inspire hope, trigger insight and personal growth — in short, “heal.” And a growing number of storytellers feel challenged to work outside of entertainment venues, in prisons, hospitals, homeless shelters, and with individuals in crisis and/or with special needs. What are some basic issues to be considered here? How can this work best be accomplished? The following very preliminary guidelines are offered not as hard-and-fast directives, but rather as a supportive overview to help individuals think about their role and responsibilities. Keep in mind, too, that storytelling can be deeply therapeutic when not necessarily offered as a form of therapeutic treatment. Understand your role. Storytellers can be described as a therapist only when trained as such (i.e., as a certified mental health professional such as counselor or social worker. ) Storytellers will want to be clear about what they can and cannot offer. Those storytellers who are not trained therapists are urged to refrain from impinging on relationships between listeners and members of a treatment team. And even if you are not a trained professional, it makes sense to develop your own rationale for the work you are doing and how it may be effective. Set flexible goals and refer back to them. It’s a good idea for tellers to develop a set of goals as well as strategies for accomplishing them. Through the ongoing process of observation and conscious evaluation, storytellers may modify and reformulate these goals, thereby raising their work beyond the realm of vague good intentions to become more effective and articulate practitioners. Create safe space. “Safety” can include both physical and emotional aspects of the “storytelling event.” This includes issues like confidentiality, encouragement of mutual respect among group participants, appropriate choice of material, sensitivity to dynamics within the group, care to achieve a sense of closure within the session. Foster staff involvement. Whenever possible, storytellers should try to work with staff in order to determine the rules and customs of the setting as well as the goals for the storyteller’s work. In this way they can complement and enhance the ongoing work of the treatment team. Frequently, staff who are unfamiliar with storytelling in these settings may have unrealistic expectations about what the storyteller can accomplish. Determine group needs. Storytellers will want to be sensitive to the emotional and developmental level of individuals they work with and to choose stories and story processes accordingly. If in doubt about how to do this, tellers are urged to enlist support from more experienced tellers and those familiar with the treatment audience. Assess materials carefully. While storytellers cannot know how a story will be heard, they will want to attempt in advance to evaluate possible harmful effects a story might produce. At the same time, understanding that listeners will utilize defense mechanisms to “take what they need” from a story, it’s best that storytellers not probe listeners for alternate meanings or insist on a given interpretation. Practice self-assessment. Storytellers will want to develop an understanding of their own inner dynamics. What issues do stories touch in their own lives? Is there a particular type of story they tell repeatedly and if so, why? What intuitive processes are at work? Storytellers are advised not to attempt work in a healing situation when their own physical or emotional condition might be a detriment to their effectiveness. Monitor personal boundaries. While a degree of emotional involvement with listeners is inevitable, especially in longer term work, storytellers should maintain an appropriate sense of boundaries. For example, it would be mistaken for storytellers to consider it their job to “rescue” listeners and they should be wary of trying to promote any personal agenda that would be outside their stated purpose. Keep process notes. It is a good idea for storytellers to keep a written record of their work, especially for longer term residencies. Here they can assess their own processes and reactions, comment on what works or doesn’t. They may also remark on the progress of various individuals or evaluate responses of the group as a whole in terms of goals they have set. A written record can document an ongoing learning experience, serving, too, as a basis for research and possibly a model for others. It can also be a creative and fulfilling accomplishment on its own! Strive for an informed perspective. The more storytellers know about the basic issues and needs of specialized groups, the more effective their work will be. Obviously one cannot become an instant expert in say, drug abuse prevention, but some basic knowledge can influence the multitude of intuitive decisions a storyteller will make. At the same time, those who hire tellers or work with them will greatly enhance their input by learning more about the art and craft of storytelling. Seek a mentor. Applied storytelling demands sensitivity and ongoing reflection. Apart from on-site direction from staff, storytellers are urged to find a mentor or consultant with whom to discuss the complexities of this work. The Healing Story Alliance hopes to develop a list of experienced individuals who are willing to offer this kind of guidance (see below). Trust the power of storytelling. With a sound, informed judgement as the underlying basis for therapeutic work, remember that the healing process originates with a love for the stories told and the joy of sharing them with others. Have fun! The spirit of creative play between teller, story, and listeners carries with it a richness of possibility. Cristy West, PhD, is trained as a creative arts therapist and has also completed her doctorate in arts in education, with focus on storytelling. She was one of the founding board members of the Healing Story Alliance. A longer version of this piece appeared in “Diving In The Moon: Honoring Story, Facilitating Healing,” Issue 3, November, 2001.